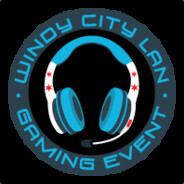 Windy City LAN 2.2 is next week! Raffle & Tournament Prizes are supplied by our sponsors for the November 2016 event. What is the prize pool for the November event? Any way for people to find teams for CSGO for this? Hey WCL. I'm from Romeoville, IL. Just following along to see if anything comes about I may be able to join in on.